In the hot of April as fire broke out in Uttarakhand jungle valuable treasure of forest is lost. Due to fire, temperature is increased in mountain areas. 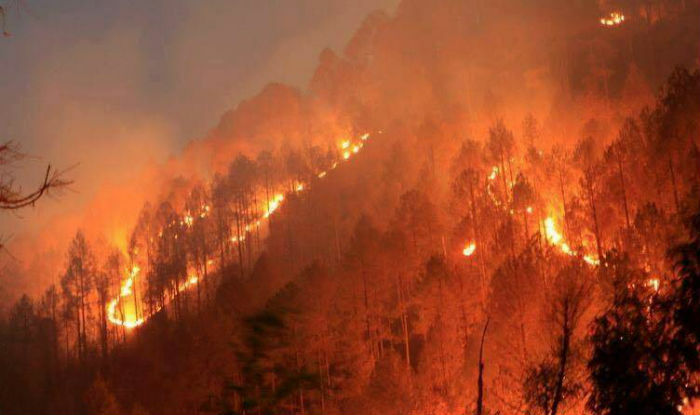 This disaster clearly shows the negligence of our government towards forest. According to experts at Nainital's Aryabhatta Research Institute for Observational Sciences (ARIES) and Govind Ballabh Pant Institute of Himalayan Environment and Development (GBPIHED) in Almora, 'black carbon' from smog and ash is covering the glaciers, thereby making them prone to melting. 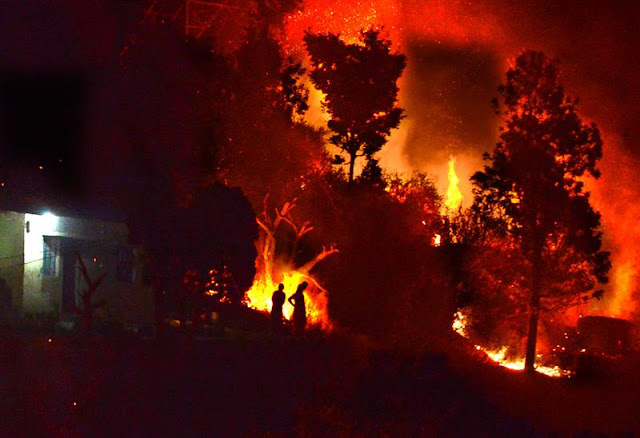 Elaborating on what he termed a 'long lasting effect' of the fires, Manish Kumar, a senior scientist at the atmospherics department in ARIES said "Black carbon is formed by the incomplete combustion of fossil fuels, biofuels and biomass. It absorbs light and increases heat, which is why it can cause glaciers to melt faster." Water in the rivers which originate from these glaciers also stand to get heavily polluted by harmful particles and compounds that constitute black carbon.